Westfield Parramatta currently occupies five levels of retail stores, spanning five blocks which are bordered by Church, Argyle, Marsden and Campbell Streets. In 1996 the David Jones department store relocated to Westfield Parramatta from its former site on Church Street beside Parramatta River,  joining Grace Bros, which became known as ‘Myer’, in the expanded centre. 1933: Opening of Grace Bros department store on the corner of Church Street and Argyle Street, Parramatta. This was the first of the Grace Bros stores constructed outside the Sydney CBD. The store was strategically located close to the railway station, bus terminus and the established shopping strip along Church Street. The company also foresaw the growth and prosperity of the western suburbs of Sydney which would take place over the next few decades. 1961: Hornsby Westfield completed on the corner of Edgeworth David Avenue and the Pacific Highway. The retail sector in Parramatta was expanding with further growth along Church Street including the construction of the David Jones store which opened adjacent to the Lennox Bridge in 1962. Westfield Holdings Limited. (1985). 25 years of the Westfield Group. Sydney: Diamond Press, p. 21. Seven great ways to shop at Waltons Parramatta: charge it ‘your way’ [Advertisement]. (1975, September 24). Parramatta Advertiser, p. 52. Westfield Holdings Limited. (1985). 25 years of the Westfield Group. Sydney: Diamond Press, p. 5. Westfield Holdings Limited, (1985) 25 years of the Westfield Group. Sydney: Diamond Press, p. 7. Westfield Holdings Limited, (1985) 25 years of the Westfield Group. Sydney: Diamond Press, p. 4. Masterplan Consultants, Kinhill Engineers & Hirst Consulting Services. (1989, March). Westfield rezoning: Parramatta. Environmental study: Proposed expansion of Westfield Shoppingtown Parramatta. Sydney: Masterplan Consultants, p. 7. (1974, September 4). Parramatta Advertiser, p. 3. Masterplan Consultants, Kinhill Engineers & Hirst Consulting Services. (1989, March). Westfield rezoning: Parramatta. Environmental study: Proposed expansion of Westfield Shoppingtown Parramatta. Sydney: Masterplan Consultants, pp. 7 & 21. Higginbotham, E. (1995). Report of the archaeological excavation of the site of Westfield Shoppingtown, Aird Street, Parramatta NSW, 1992. Haberfield, N.S.W: Edward Higginbotham & Associates, p. 2. Westfield Parramatta’s 25th anniversary: Birthday bash has flavour of the 70s. (2000, October 25). Parramatta Advertiser-City North, p. 27. Expansion plans. (2003, November 26). Fairfax-Sun, p. 3. Smokers targeted. (2004, July 14). Parramatta Advertiser-City North, p. 10. Meredith Walker & Associates. (1993). City of Parramatta heritage study: historic overview. Granville, N.S.W. : Marian Abboud, p. 12. Meredith Walker & Associates. (1993). 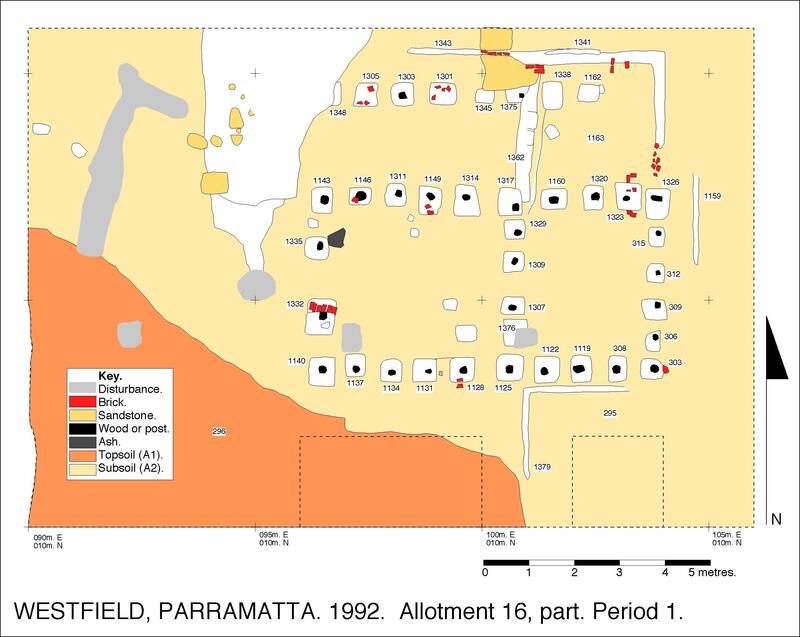 City of Parramatta heritage study: historic overview. Granville, N.S.W. : Marian Abboud, p.13. (1980, July 9). Parramatta Advertiser, p. 59. Westfield Holdings Limited. (1985). 25 years of the Westfield Group. Sydney: Diamond Press, p. 3. Westfield Holdings Limited. (1985). 25 years of the Westfield Group. Sydney: Diamond Press, p. 7. Westfield Holdings Limited. (1985). 25 years of the Westfield Group. Sydney: Diamond Press, p. 4. (1975, September 24). Parramatta Advertiser, p. 52. Today, Australia’s most exciting food market opens at Westfield Parramatta [Advertisement]. (1986, September 9). Sydney Morning Herald, p. 6. It’s the biggest and it’s created jobs! (1995, November 1). Fairfax Sun, p. 5. Heary, M. (2004, July 28). Two against Westfield. Fairfax-Sun, p. 7. Dwyer, R. (2005, March 9). Going up at Westfield. Fairfax-Sun, p. 22.